We all find ourselves at messy workstations from time to time, whether the culprit is an overstuffed drawer of paper, a tangled mess of wires and cables, or pens and office supplies in abundance. Sometimes, our workspaces can become quite overwhelming and it can be tricky to determine where to begin the decluttering process. A good angle to approach the daunting task of getting organized is to begin with a list. 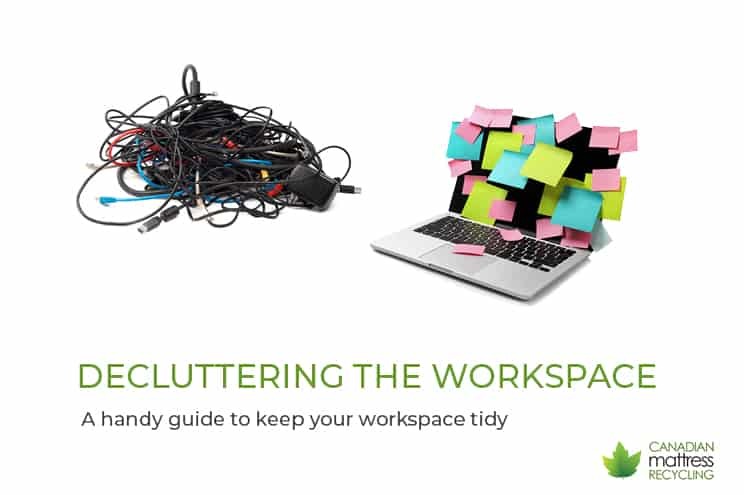 Here is a breakdown of ways you can make your workspace more organized, accessible, and ready for action. Sometimes, cables and wires can get quite out of hand. 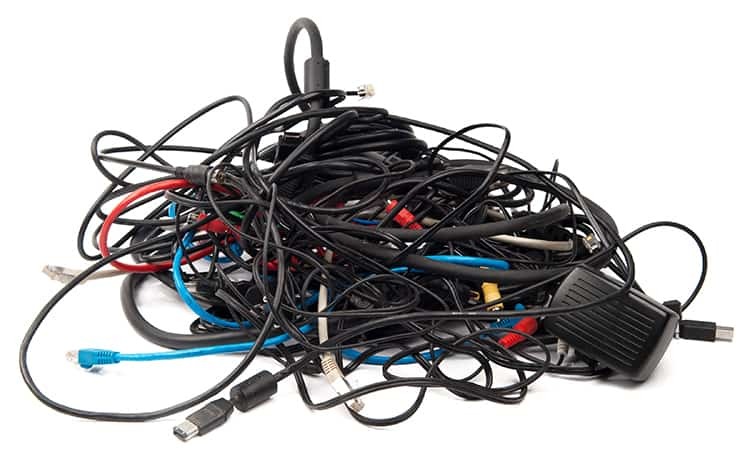 Have you ever had that experience of finding a cable and not remembering what it is for? Or maybe the tangled mess of cables takes up too much space in your desk. Use elastic bands and masking tape to separate your cables and label them. An easy way to combat these problems in a short amount of time involves two relatively inexpensive office supplies which you may be lucky enough to already have in your cluttered workspace: masking tape and elastic bands. Use three fingers as a guide to wrap your cables and wires into loops, then use an elastic band to hold those loops together. The finishing touch involves the masking tape. Wrap the masking tape around one end of the wire and leave enough excess material to fold it over and make a tag. Now you can label your wires and store them in a tidy fashion. This task takes puts another common office supply to good use—sticky notes. 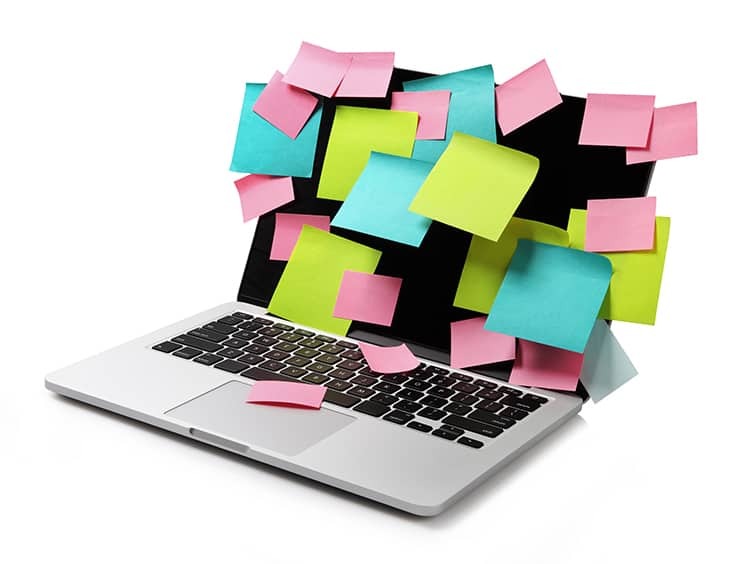 Sticky notes are very useful for their obvious applications such as writing reminders and marking book pages, but they can also be used to organize loose paperwork. If you can find a designated spot on or in your desk, use the sticky notes to tab the piles. Use categories such as personal, work, taxes, other, and to sort. Using sticky notes doesn’t have to mean clutter on your desk – you can organize your notes into categories and pile them on your desk. By keeping a to sort category, you can get to some of that paperwork later and maintain organization by dedicating 15 minutes at the beginning or end of each week to make sure that stack is dealt with. The endorphins released by accomplishing this simple task will not only aid in habit-forming but also provide you with a sense of accomplishment each time. Every once in a while, the big clean happens. There are pencils, pens, markers, and highlighters everywhere. Which ones are new and which ones are old and dried out? When you go to test your writing tools to see if they are still useful, there is an instinct to throw out anything that can no longer write. This is the easy answer, but did you know there is a more sustainable answer? Chain department stores such as Staples provide bins where you can deposit old pens and more for recycling. Many office supply locations offer recycling programs. Chains such as Staples provide bins at their locations where you can deposit old pens, highlighters, and even trickier items such as printer ink cartridges. If you are unsure if your local office supply store offers these services, check their website. It just takes a few easy clicks to see what exactly, Staples’ TerraCycle program accepts. Now that your desk is decluttered, find a way to keep it organized. Sometimes you may need to discover multi-functionality in other household items. Useful desk organizers can be found in items such as old mugs that are collecting dust in the cupboard, as well as a desk drawer essential: cutlery trays. 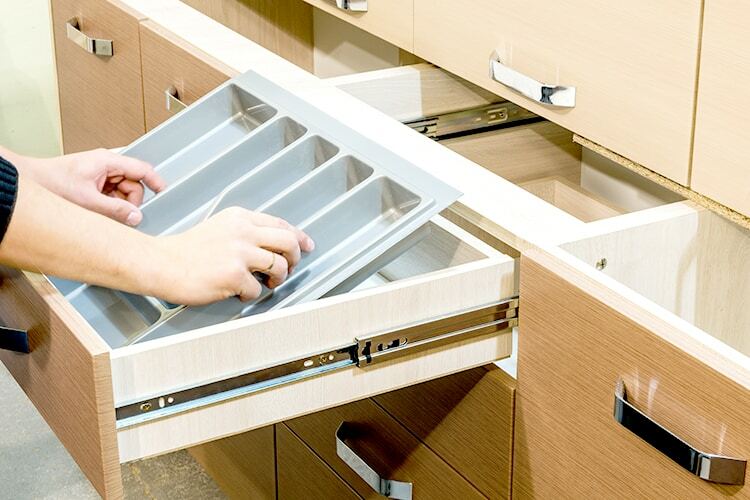 Organizing your office drawers can be as easy as using kitchen cutlery trays for sorting. These organizers do not need to be a ‘kitchen only” tool. In fact, many models have compartments in a variety of sizes. These can provide space for rulers, writing utensils, business cards, staples, and thumbtacks. If you can pair these repurposed tools with the above tips and tricks, there is no workspace you cannot conquer. Canadian Mattress Recycing Inc. is Metro Vancouver’s leading mattress recycler. Since opening our doors eight years ago, we have recycled over 25 million lbs of mattresses and upholstered furniture. We dismantle, recycle, and reuse 100% of all items we receive. We are proud environmental leaders, paving the way for a more sustainable, climate-smart future.